Aspirinox Alloys Inc is a renowned exporter, manufacturer and supplier of Alloy Steel A182 F1 Bars, Rods & Wires in Mumbai India. We offer a range of Alloy Steel Round Bars with sizes ranging from 4 mm up to 350 mm diameter according to ASTM / ASME A/SA 182, ASTM A276, ASME SA276 standards. These Alloy Steels A182 F1 Round Bars are low alloy chromium, molybdenum steel in addition to 1/4% Moly. known to deliver exceptional performance and are generally developed for meeting the demands of general corrosion service applications, in General, Engineering and Process Instrumentation applications, and also in heat transfer process equipment like Boilers, Heat Exchangers. Moreover, these offered Grade ASTM A182 F1 Alloy Steel Bars by us are available in different types such as Bright Bars, Hex Bars, Rectangular Bars, Black Bars, Flat Bars, Polish Bar, Forged Bar, and many more. Over 30 years, we have been serving the wide array of industries such as chemicals, cement, paper, pumps and process industries to our clients as per their requirements or specifications. Call us today for more info or send an inquiry for more info! Specifications for Alloy Steel F1 A182 Round Bars & Rods. If any specification is not mentioned here, please use the contact button for quick quote. 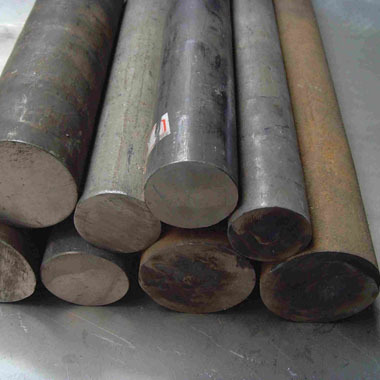 Request the latest Alloy Steel F1 A182 Round Bars & Rods List. Please click on the request a quote button or click here to request the updated price list and ready stock information along with your requirement. Aspirinox Alloys INC maintains a stock of all standard items and can export them at best price for Alloy Steel F1 A182 Round Bars & Rods.